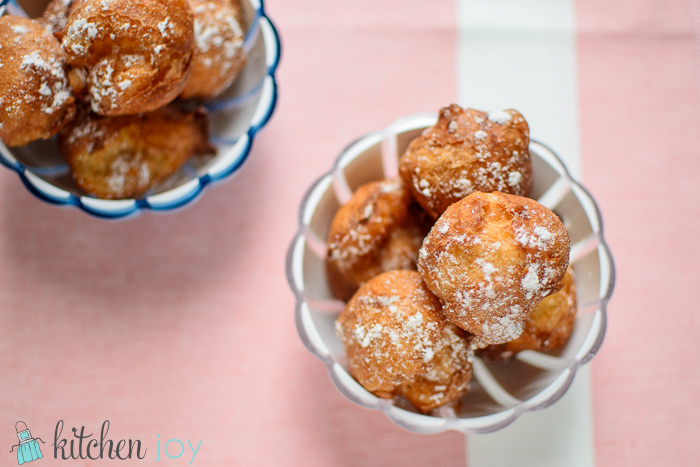 Zeppole (plural for “zeppola”), are traditionally enjoyed in Rome in celebration of St. Joseph’s Day, but are very easy to make and enjoy at home no matter where you live any day of the year. 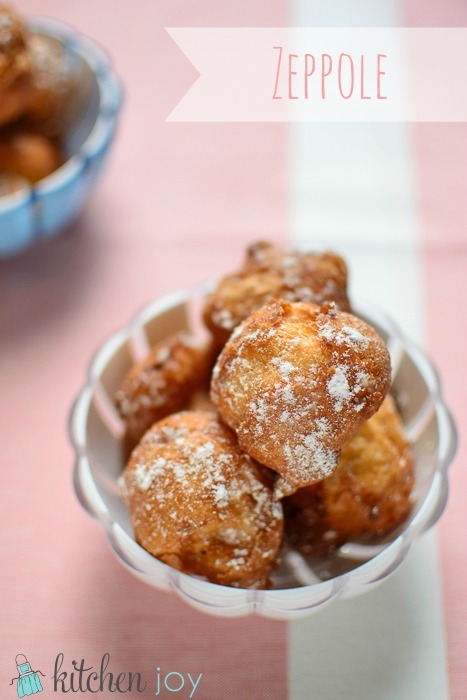 Making zeppole, or any type of doughnuts, does not need to be an overwhelming proposition. The trick is to keep an eye on the temperature of the oil, and adjust is as needed throughout the process to maintain even frying. I really like making doughnuts outside. My favorite way to make them is on crisp Fall mornings outside on our porch or picnic table. An electric frying pan works really well, especially if you want to do your frying outside. 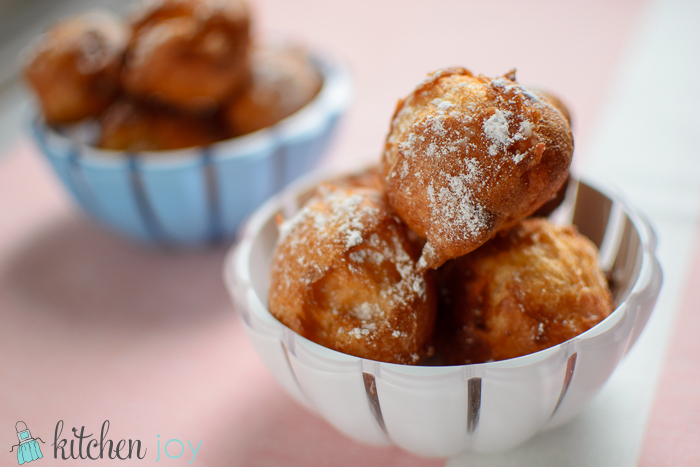 You don’t need to own a deep-fryer to make zeppole. Just a pan on the stove and a fry/candy thermometer work great too. Just be sure to keep lots of paper towel nearby, and choose an oil that doesn’t take on a scorched taste at high temperatures. Peanut oil is great for frying if you don’t have an allergy to peanuts. Vegetable oil works well too. In a medium saucepan, combine the butter, salt, and sugar with 1 cup water and bring to a boil. Remove from the heat. Add 1 cup flour all at once. Stir thoroughly until completely mixed and a dough forms. Return pan to medium heat, and stir dough mixture for 1 minute longer. Remove from heat. One at a time, add eggs to the dough. Add vanilla. Beat well by hand with a wooden spoon or use a electric mixer until eggs and vanilla are incorporated. Drain on paper-towel lined baking sheet. Repeat until no dough remains, adjusting the heat as needed to maintain oil temperature of 375 degrees F.
In a small bowl, combine confectioners' sugar and cinnamon. Sift or sprinkle sugar mixture over the zeppole.